The Fab Chick: Hellz Bellz Fall 09Fab Chick approved!!! Hellz Bellz is a line designed for that chick who likes her fashion and clothing with an edge. It's not for the ultra feminine female. But if you are welling to take major risks with fashion, then a line like Hellz Bellz maybe for you. 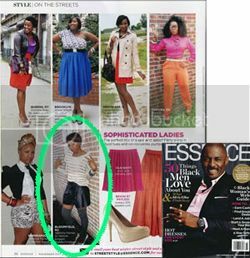 The Fab Chick definitely endorses fashion lines that push the envelop of creativity and Hellz Bellz is certainly one. Hellz Bellz has released their their Fall 09 second delivery they call 'Midnight Riders'. Check out a few pieces of the line. We see a few pieces that any fab chick might want to add to their wardrobes. Be sure to check out their site here for all Hellz Bellz info and to view the rest of their Fall 09 collection.